Your Finance Formulas: Bridging Finance: The Best Way To Buy Your Next Home? Bridging Finance: The Best Way To Buy Your Next Home? One of the most frustrating things home buyers can run into is bad timing. You intend to sell your home, and you’ve found another that’s absolutely perfect, but the dates for the sale and purchase settlement are spaced apart! In this scenario, a bridging loan will deal with the cost of the new property for this brief period, and the sale of your current home will pay it off. 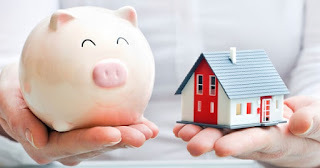 Here, most banks will increase the home loan you’re currently on, and then change all the collateral of your old home over to the new one after the sale. This sounds straightforward enough, but you still need to be careful. The bank will usually need a new valuation on your current property and the one that you intend to buy. To make sure you’re totally covered, it may be worth seeking some extra legal advice. Even if you’re not looking to sell and buy around the same time, bridging finance could still be a good idea. When you have the cushion of the bridging loan, you’ll be able to take your time with the search for your next property, and have the confidence of knowing that you’ll be able to pay for it when you find the right property. If you’re looking for a bigger home, a more valued location, and an all-round upgrade, then this could be the answer to your prayers. Some people without this kind of buffer are pressured into putting their home on the market long before they’re really ready. If you end up in this situation, you’ll be at a serious risk of clutching at cash for houses, when you may be able to get a better deal. Although an open-ended loan gives you more leeway, be aware that it’s still a short-term thing. The majority of banks will give you six months to sell, or a year if you’re building a new home. “That’s all well and good”, you may be saying “but what if the bank shoots me down?” If your bank is keeping their purse strings tight, then mortgage brokers may be able to secure funds from a more willing bank, or talk to another reputable lender. As with a lot of other financing options, the bank will probably operate a lower interest rate than a private lender, so make sure you take this into the equation. If you are going to reach out to mortgage brokers, see if you can still get a hold of the one who moved you into your current home. They’re typically more helpful if you have an in already.